I wrote this post for Chic Galleria recently, but I wanted to be sure to share it here as well! This is the first year I can remember that I haven't had any idea what I'm going to wear for Halloween. I'm straight-up ashamed! I used to prep for Halloween like I was being graded on it. Tonight I'm scheming hard, but with 24 hours to go, I might end up opting for one of these choices myself! Also, let it be said here that I have zero tolerance for people who won't even stoop wear a silly headband or face paint for Halloween. Get Real. No is cool enough to go "as themselves" for Halloween. Except for Michael Jackson in the "Thriller" video. 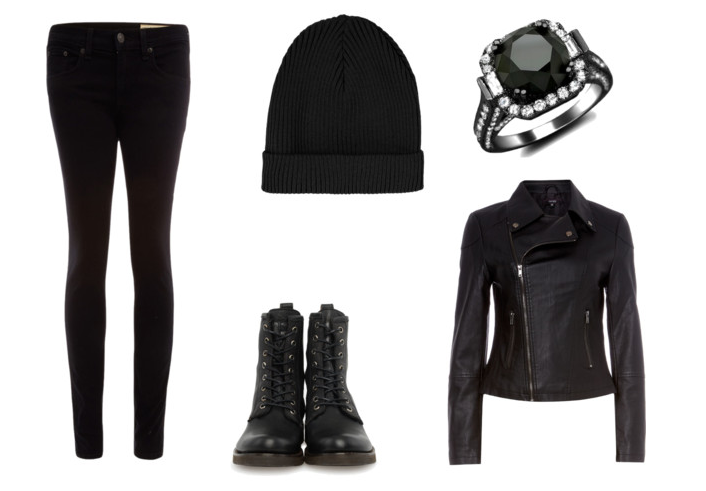 Who doesn't like wearing black and comfy everything? Not to mention being genuinely warm on Halloween. Skinny jeans, boots, and a top of your choice (I like a good turtleneck, some stripes, or a badass leather jacket) are all probably in your closet right now. A black knit hat or ski cap should cover your hair, and remember to bring on the bling! This one requires more cosmetic attention than the others, but it’s still simple to create the “doll” look with basics from your makeup bag. (Scroll halfway down here.) Cover your face with a pale foundation or powder. Widen the eye by penciling white eyeliner both outside and inside your lower lid, then apply fake lashes. Add lip gloss and lots of blush. Curls, satin, bows, and patent shoes will complete the look! Doesn’t everyone want to live out Breakfast at Tiffany’s for one day? But... but I don't look like Audrey Hepburn! Shut up. You will. 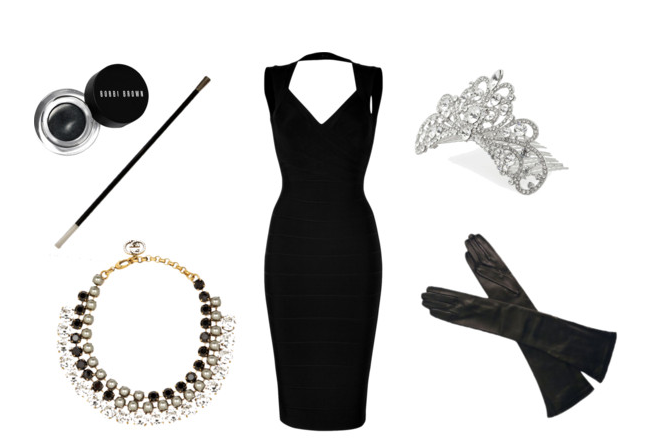 With your best little black dress and some costume jewelry (pearls & diamonds, please), she'll channel right into you. Tiaras and opera gloves can be luxury or simple. Fix your hair in a high, loose bun — and don’t forget your sunglasses! Looking for an excuse to give that wedding dress another wear? Of course you are. It was like eight hundred thousand dollars. Even if all you have is a little white dress, it's easy to connect the dots with a veiled headband and a bouquet. 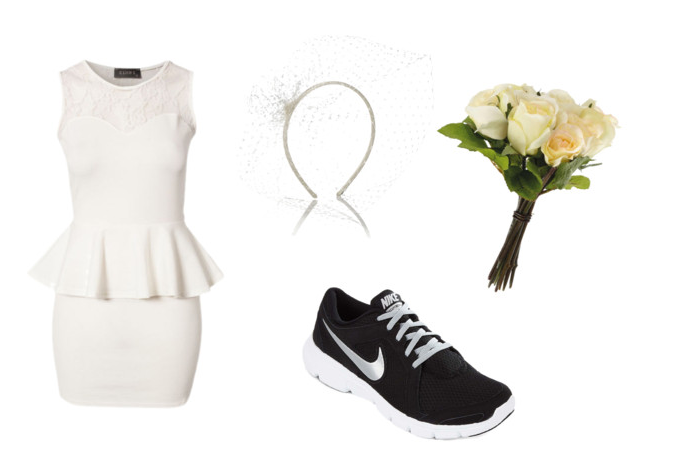 Amp up your cleverness with a pair of tennis shoes, and you're a Runaway Bride. 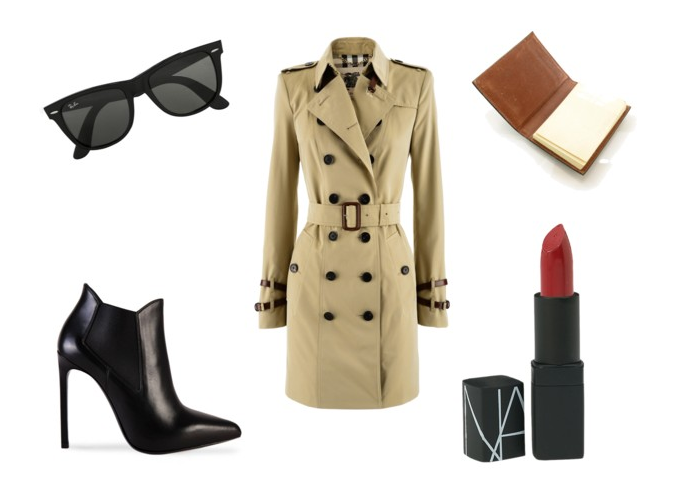 Since a trench coat is at the top of every must-have list for the classic wardrobe, you must have one somewhere. AmIright? Be sure to add a pair of sunglasses and red lips. Heels, a fedora, and/or a notepad will distinguish the look. BAM! Now you never have an excuse not to show up to a Halloween party not in costume again. You're Welcome.